When a water intrusion occurs in a home through flooding or leaking, it is important for home and business owners to avoid damage by calling for prompt water removal or pump out services. Unfortunately, water is one of the most destructive forces a home can face, especially if the water comes in the form of a flood. If water removal is carried out promptly, home and business owners can avoid a host of issues that can damage their home and even put their health in danger. Standing water not only causes massive water damage to the porous structures of a home, it can also contribute to the growth of mold and mildew. Since certain types of mold are toxic, it is crucial the mold growth is inhibited as much as possible. If the water stands in a home for over twenty-four hours, it can begin to cause mold and mildew growth on all of the moist surfaces and even in the air. Flood remediation teams use water extraction processes to remove large amounts of water at an exponential rate. The sooner the water is removed, the sooner the damage can be assessed and repaired. Using various extraction processes, the team will work to remove any standing water, including water that has made its way into the walls. After the water removal has taken place, the team will work to bring the humidity levels down as soon as possible so the growth of mold and mildew is mitigated effectively. SteamMaster Restoration and Cleaning LLC. Provides water extraction services and will not only work to help home and business owners dry out, but they also ensure the home is restore ready after every Water Damage. Through thorough cleaning measures, the removal of damaged materials, and the replacement of drywall and other building materials, a home can be fully restored to the way it was before the waters entered and caused damage. Also known as a “pre-loss” condition. Home and business owners who are in need of water removal services can count on SteamMaster Restoration and Cleaning. We come out 24/7/365 for water emergencies so a home can be protected from the onslaught of damage that occurs after a water intrusion. With a prompt response, home and business owners alike can rely on these services when an emergency occurs. 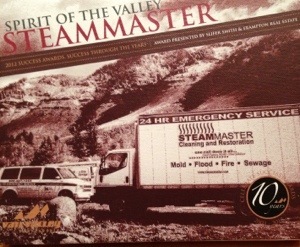 Disaster restoration company, SteamMaster, hosted a free Leadership Training last week for Vail Valley local business owners and managers. The event was the brainchild of Raj Manickam, SteamMaster CEO. “SteamMaster wants to support the Vail Valley by serving its business leaders,” Manickam said. True to their goal, SteamMaster has been awarded the 2014 Torch Award for Ethics by the Better Business Bureau. Over 125 Vail Valley business leaders attended this one-time event. Keynote speaker Bob Vanourek lead the audience through various group exercises aimed at stimulating participants’ inner leader. The participation-driven Training proved to be informative and empowering. “You all know this stuff already! You just need to get in touch with what you intuitively know,” Vanourek said. One exercise involved a role-playing debate between business owners and employees. Owners argued for leading the company by making decisions that are best for the business while employees countered that the business will grow automatically, by serving the employees and community. This stimulated some lively discussions. The audience participated whole-heartedly while they discovered deeply-hidden aspects of their personalities. 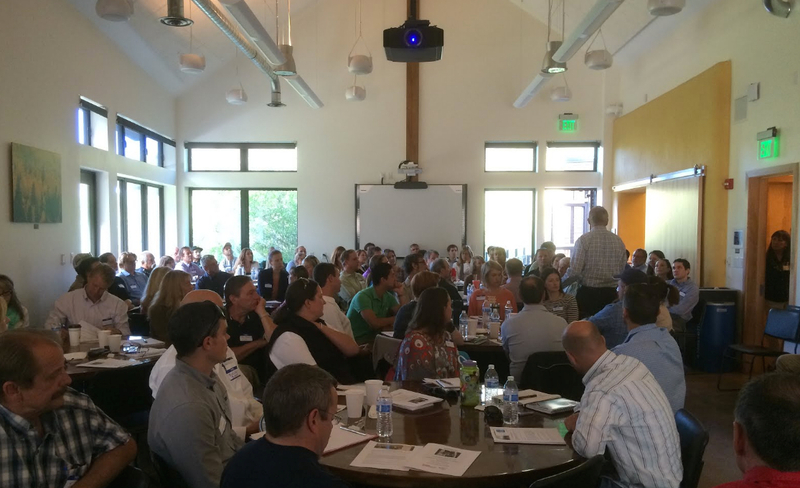 Local business leaders found the Training to be “Inspiring, motivating and re-invigorating”. Mike McGee, Vail Fire Commissioner said he benefitted from “Leading Thru Service”. “…The group interaction was a great opportunity to increase our individual level of awareness”, McGee said. Founded in 1978 by local business leader Gary Gilman, SteamMaster provides world-class cleaning and restoration solutions to Colorado mountain communities such as Vail, Aspen, Steamboat Springs and more. The company’s institutional expertise and reputation for delivering the highest-quality services have made it the best-known such service in the Colorado mountain region and a recognized leader of the local business community. 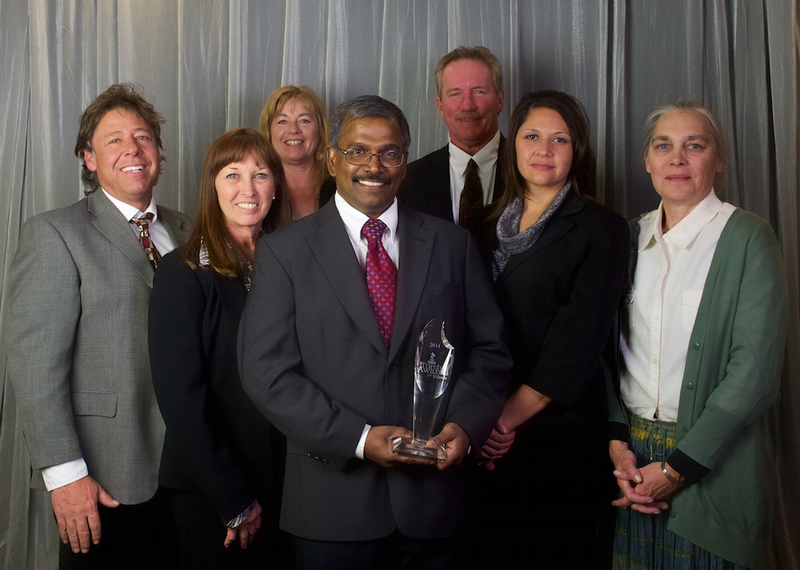 MINTURN, Colo., May 5, 2014 /PRNewswire-iReach/ — SteamMaster Restoration and Cleaning LLC, is a winner of the 16th annual Better Business Bureau Serving Northern Colorado and Wyoming Torch Awards for Ethics. SteamMaster is a 24 Hour Water and Fire Damage Emergency Service restoration company serving in the central Colorado Rockies since 1978. SteamMaster also provides mold remediation and specialty cleaning services. BBB Torch Awards, a program of the BBB Institute for Marketplace Trust’s Center for Character Ethics, recognizes businesses that demonstrate exemplary business ethics as evaluated by the six TRUST! principles of Ethical Enterprising. “It is a tremendous honor to be the first company recognized in the mountain region over the last 16 years to win this coveted BBB Torch Award for Ethics, says Gary Gilman, President and Owner of SteamMaster. “The credit goes to our team members for consistently conducting business within the principles outlined for this award,” added Gary. SteamMaster is the leading restoration and specialty cleaning company serving in Vail, Breckenridge, Aspen and surrounding mountain communities for over 36 years. SteamMaster’s commitment and striving for excellence is achieved through training, cutting-edge equipment and consistency in getting customer feedback. SteamMaster strive to give back to the community with numerous fund-raising and non-profit activities year-round, including its annual charity golf tournament. SteamMaster is also on Twitter and Facebook. Better Business Bureau Institute for Marketplace Trust provides ethics-based assessment, training and recognition programs for businesses, consumers, nonprofits and students in Northern Colorado and Wyoming through three centers of excellence: BBB Center for Character Ethics, BBB Center for Fraud Prevention and BBB Center for Nonprofit Excellence. In 2013, the BBB Institute reached more than 5,011 people via outreach and education programs. SteamMaster Restoration and Cleaning LLC is a finalist for the 15th annual Better Business Bureau Torch Awards for Ethics. Winners will be announced at an April 23 ceremony at the Fort Collins Lincoln Center. SteamMaster is a 24 Hour Water and Fire Damage Emergency Service restoration company serving the central Colorado Rockies since 1978. SteamMaster also provides mold remediation and specialty cleaning services. Gary Gilman, President and Owner have set up its corporate office in Minturn, Colorado where employee housing is provided for quick emergency response. The BBB Torch Awards, a program of the BBB Foundation, recognizes businesses that demonstrate exemplary business ethics, uphold high standards in relationships with customers, suppliers and shareholders, show honesty and integrity in marketing and advertising, and give back to their communities. SteamMaster is the leading restoration and specialty cleaning company serving in Vail, Breckenridge, Aspen and surrounding mountain communities for over 35 years. The team of local experts at SteamMaster provides superior customer service and knowledge of leading edge technologies. SteamMaster’s commitment and striving for excellence is achieved through training, cutting-edge equipment and consistency in getting customer feedback. SteamMaster strive to give back to the community with numerous fund-raising and non-profit activities. BBB’s mission is to be the leader in advancing marketplace trust. BBB accomplishes this mission by creating a community of trustworthy businesses, setting standards for marketplace trust, encouraging and supporting best practices, celebrating marketplace role models and denouncing substandard marketplace behavior. Businesses that earn BBB Accreditation contractually agree and adhere to the organization’s high standards of ethical business behavior. BBB is the preeminent resource to turn to for objective, unbiased information on businesses and charities. BBBs across the U.S. and Canada – 113 in all – rate more than 4 million local and national businesses and charities. Our local BBB provided 1.1 million instances of service in the last 12 months. February 2, 2013, Beaver Creek, Colorado. SteamMaster Restoration and Cleaning won the ‘Spirit of the Valley Award’ at the Vail Valley Partnership’s 10th Annual Success Award held at The Vilar Performing Arts Center. recognizes an organization or individual’s contribution to the most public good through programs, funding, employee participation and management commitment. The Spirit of the Valley award nominee qualifies by honoring values, strategies and operational practices while demonstrating ethical leadership and corporate stewardship, making a difference in the community. “Steammaster Restoration & Cleaning is well deserving of our annual ‘Spirit of the Valley’ award due to their great sense of community.” said Chris Romer, President and CEO of the Vail Valley Partnership. “Their staff – from the top throughout the organization – are engaged in the community and they continue to grow their charity golf event in order to help raise money for numerous non-profits throughout our community. Leadership from organizations such as SteamMaster help make the Vail Valley a special place to do business and a special place to live.” added Mr. Romer. “SteamMaster and its employees is active in community involvement by choice and commitment,” says Raj Manickam, CEO. “Our Annual Charity Golf, year-round food drive, participation in non-profit community programs and education on emergency preparedness allows us to give back in some small way,” Manickam added. SteamMaster Restoration and Cleaning, LLC is a 24 Hour Water and Fire Damage Emergency Response company serving the mountain communities in nine counties for 35 years with its corporate headquarters in Minturn Colorado. SteamMaster also provides specialty cleaning services for carpets, oriental rugs, upholstery, restoration and cleaning of natural and manufactured stone surfaces.